While Nawaz was boarding his plane for New York on Tuesday, another Pakistani political leader was already on the ground in Washington, DC holding secret meetings behind closed doors with US government officials including former CIA agents. According to a Tweet by Arif Alvi, founding member of PTI and close confidante of Imran Khan, he was holding a secret briefing for US officials in Washington, DC on Tuesday. 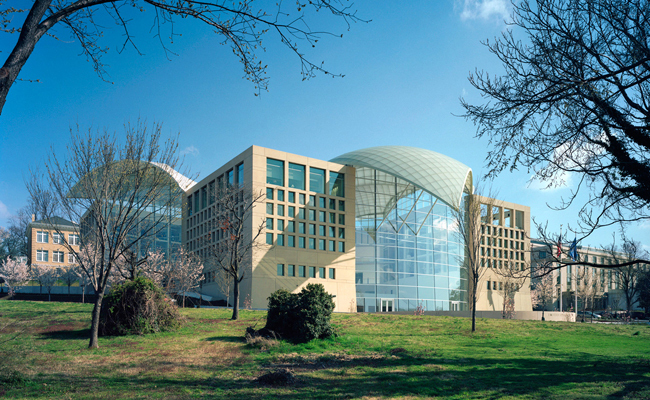 There is no record of this Round Table on the website of United States Institute of Peace, and sources have confirmed that it was supposed to be a top secret affair held behind closed doors with no record for the public. This is important to note once one has read the list of attendees that Arif Alvi leaked. Even though the meeting was supposed to be top secret, Arif Alvi apparently could not resist bragging to his followers, so we do know what he says was on the agenda even though the specifics are hidden. The day the Prime Minister was boarding a plane to travel to the US, an opposition politician was giving his own secret briefing behind closed doors. Was he spoiling the tea before it could even be served? Can it be believed that given the opportunity a high ranking PTI official such as Arif Alvi who has been recorded having phone calls with Imran Khan discussing attacks against the government as “good” would not sabotage the Prime Minister? Obviously we have no way of knowing because there is no record of the secret affair. There are other important questions that are raised by this incident. According to Arif Alvi, the top secret briefing was arranged by US Institute for Peace. Why would this organization which says it is funded by US Congress arrange a secret briefing for a foreign political leader, especially a foreign political party that has blocked NATO supplies, said that the US does not want peace in Pakistan, and termed the Taliban as ‘freedom fighters’ who are fighting a ‘holy war’, and is even funding programmes of Jamaat-ud-Dawa who the US has designated as a terrorist group. Who requested the US Institute of Peace to do this secret meeting for PTI? Was this carried out at the request of someone at our Embassy in Washington, or was it done behind their backs? It is hard to believe that the PM would have asked our Ambassador to arrange such a meeting for Arif Alvi. Was this done through the Defence Wing at the Embassy? If so, what does that mean for the precious narrative that civilians and military are reading from the same script? And how long has this been going on? Is this the first secret meeting that US Institute of Peace has arranged, or is it only the one that accidentally got leaked? PTI has a long and profitable history of raising money from overseas Pakistanis amounting to millions of dollars, but this is a different case. This is a high ranking member of an opposition party that has been trying its best to topple the democratically elected government, many believe with the backing of certain powerful corners, holding secret meetings with US government officials including former spies only days before the Prime Minister is scheduled to arrive. The Foreign Ministry should immediately launch an investigation into this situation and find out who was behind it and what is their agenda. This entry was posted in Blogs and tagged Arif Alvi, Nawaz Sharif, PTI, us institute of peace by Sidra Jafri. Bookmark the permalink. May be Madiha Afzal was the key for the invitation of Mr. Arfi Alvi. She is LUMS hence the support for #PTI. LUMS produce right wing Liberals.